I learned the art of frugality from a Depression Era survivor. Join me in learning how to live on less. Save money, have fun, and be secure. 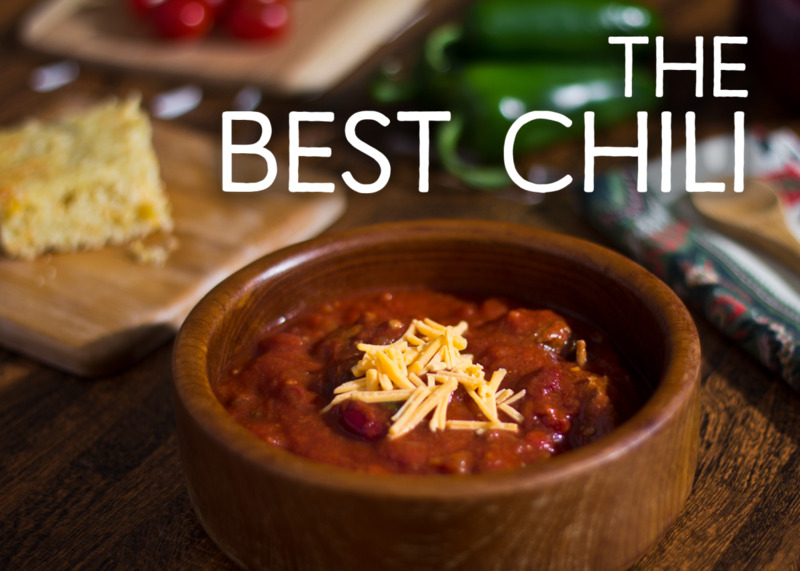 My Best, Your Best, Whose Best Chili? The mixture of meat, beans, peppers, and herbs was known to the Incas, Aztecs, and Mayan Indians. The blending of these elements no doubt resulted in what we today call chili. The native Indians of Mexico, Central America, and South America prepared dishes of beans, meat, and peppers for generations dating to the pre-Columbian era. 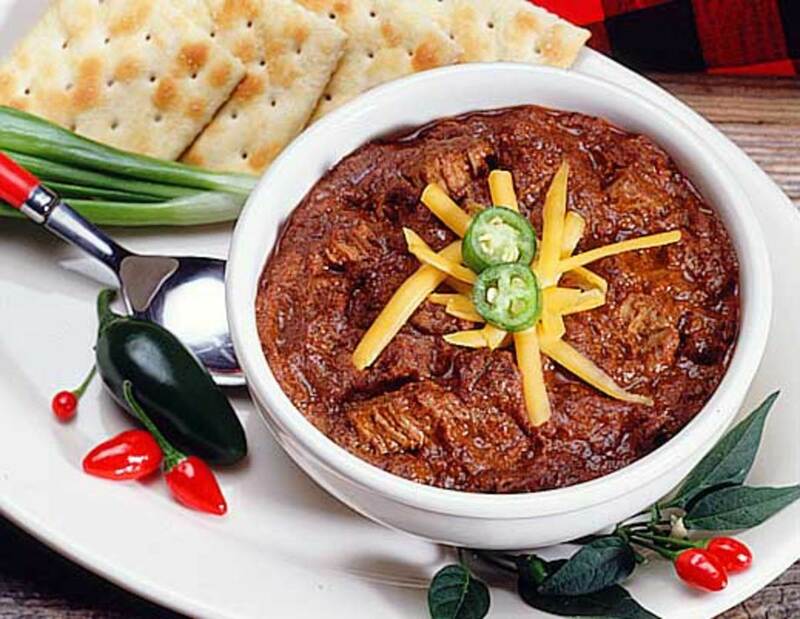 And throughout all of this time, chili has been a favorite for large numbers of people. Perhaps the all-time best cooks of chili were the trail cooks who provided the Texas cowboys with sustenance along the dusty drives to railheads in Kansas for shipment to stockyards in Chicago. Uncured beef slaughtered fresh on the trail had a sssstrong flavor, so the good chuck wagon cooks knew to gather fresh wild oregano, onions, chili peppers, and garlic, making their tasty bean brew for tired and hungry cowpokes something to look forward to—not dread. Nearly every U.S. state thinks its bowl of chili is best. There are multitudes of chili cook-offs and recipe contests. Many states vehemently claim the invention of chili (Texas, New Mexico, or California probably have the rights), and the individual who invented chili is up for eternal debate. Here's my best Arizona white bean chili, a family favorite! 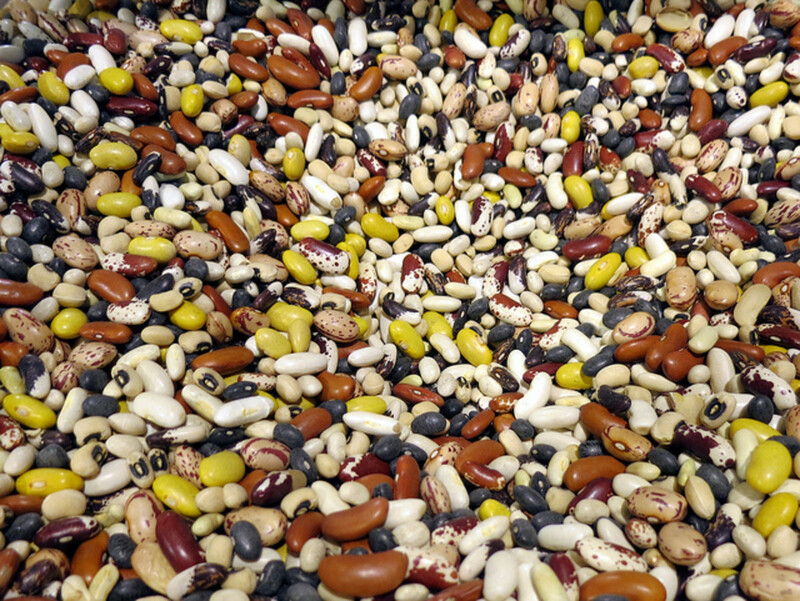 The most common white bean used are navy beans. 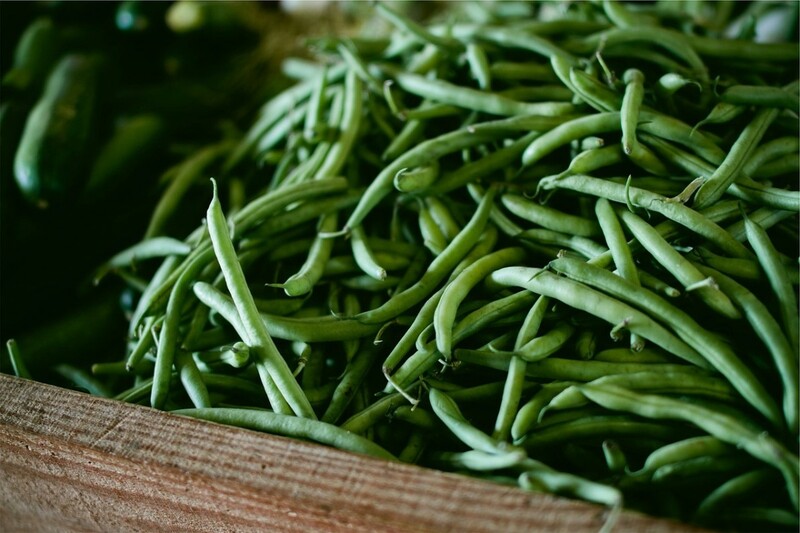 As with almost every bean, navy beans have other names including Yankee beans, Boston beans, Boston navy beans, pea beans, and white pearl beans. 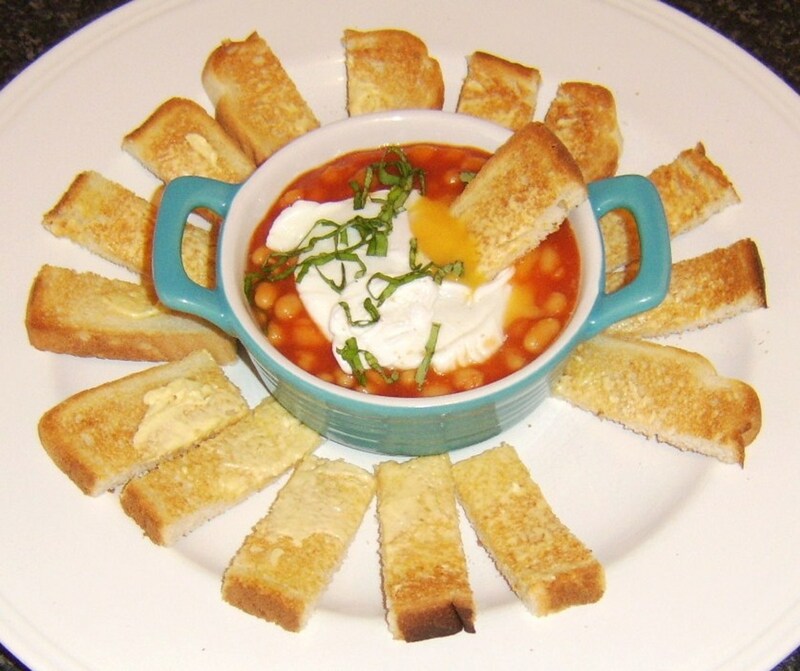 The French call these haricot blanc beans. 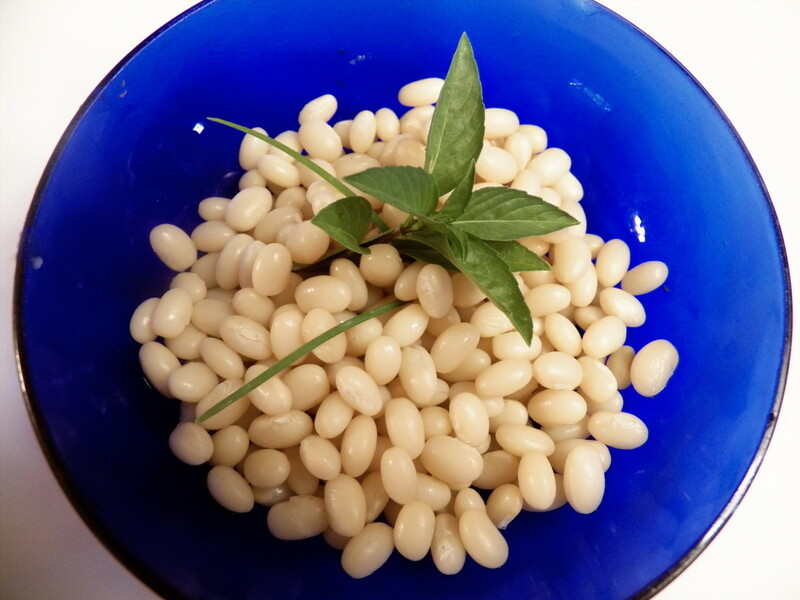 Another white bean choice is the great northern bean, which are sometimes referred to simply as northerns. One of the biggest complaints I have heard about Northern beans is that after preparation they taste rather bland. I have discovered a recipe for white chili (Northerns are white) that is absolutely delicious. No one will call these beans bland when they take a first mouthful. The flavor is full but not overwhelming. 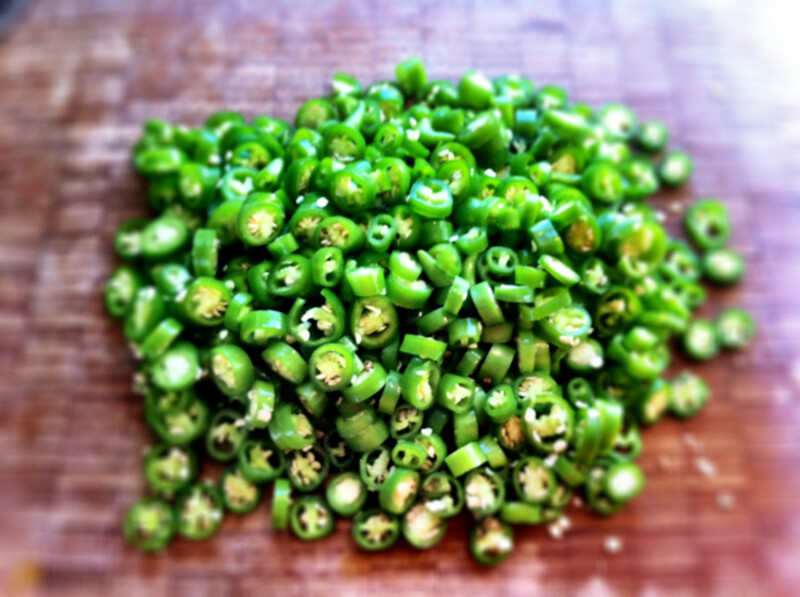 One look at the ingredients and you will see why this is one of my favorite chili recipes. I prepare 1/2 pound of bulk Northerns and that gives me another meal for 2, as they warm up again and taste great. You can expect the 1/2 pound of beans to feed 4 (or maybe more). If you wish to prepare a pound, just double the ingredients. Note: If you don't like spicy, drop the cayenne pepper above which results in a wonderful tasty thick soup. To a soup pot, add the beans, chicken broth, garlic, and half of the onions. Bring to a boil. Lower the heat and simmer until the beans are very soft. Simmer for 3 hours or more. As necessary, add more water or thin broth. After cooking for 3 hours, test to see if the beans are still hard or stiff. Cook to taste. Saute remaining onions in oil until tender. With chilies and seasonings mixed thoroughly, add to bean mixture. Add chicken and continue to simmer 1 hour. Check seasonings, add jalapeño or Serrano for desired level of hotness (see note above regarding spiciness). Serve topped with grated cheese. Garnish with cilantro, chopped fresh tomato, salsa, chopped scallions, and/or guacamole. Serve with fresh, warmed flour tortillas or tortilla chips. There is just one more plus to this recipe. Once you have the spices, this recipe can be made many times at a very reasonable (cheap) price. Bulk beans are inexpensive, and in my opinion, they always taste better than canned. Bon appetit! The emphasis today, more than ever, is on healthier nutrition. White beans are full of good protein. The chicken broth is low in fat and provides great protein. The spices are rich with vitamins. The kids in our family love the non-jalapeno, non-cayenne pepper version. If you like spicy hot, you'll really love the full flavor of the recipe. The dish may be served with toppings or accompaniments: grated cheese, diced onions, and sour cream are common toppings, as are saltine crackers, tortilla chips, or corn chips, cornbread, rolled-up corn or flour tortillas, and pork tamales. Another idea is to serve the chili over rice or pasta, such as spaghetti. 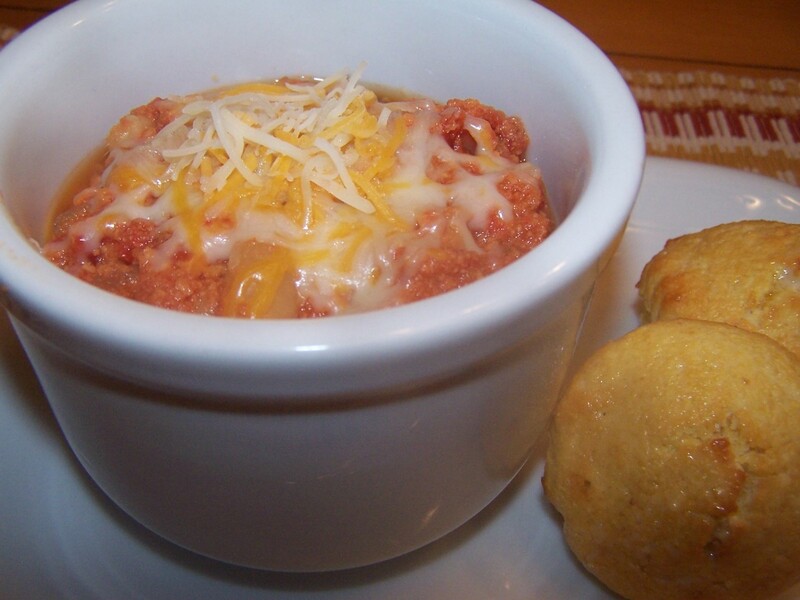 Is chili one of your famed dishes? Yes, I have heard of the folks who are anti-beans. Which makes me think of a wonderful meat chili I used to eat at a little Mexican restaurant south of Tucson, AZ. But the white bean chili is still mouth-watering. Get well soon. Hmmm.. I'm hungry now too! Thanks for writing. Over here in Texas there are people who will insist beans should never be in chili. Well, I'm as Texan as they are, and I disagree. Of course the white bean chili is rarely what anyone is talking about. 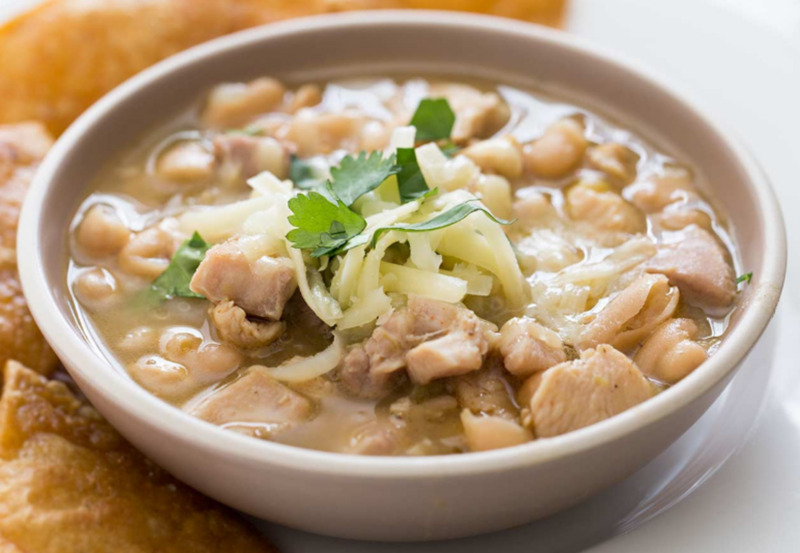 My mother makes an outstanding white bean and chicken chili, and it is truly one of my favorites of her staples. I'm starting to now feel kind of hungry, and so I must thank you, I've not felt well the past couple days, and I need to eat. You're right. Nothing like a enhancing flavor your own way. In the same vein, I woke up yesterday and my coffee was a let down. Added a pinch of cinnamon and that did the job! Thank you for the comment. This is a great recipe and being vegetarian myself I can just not add in the ingredients that don't suit me. All the flavour from the seasonings will give the dish the taste it requires and I can add ingredients to suit me. Thanks for sharing. This sounds really delicious! I like chilli inspired recipes. Nice presentation and the combination of ingredients looks interesting too. Thanks fpr sharing the details!